June is busting out all over. 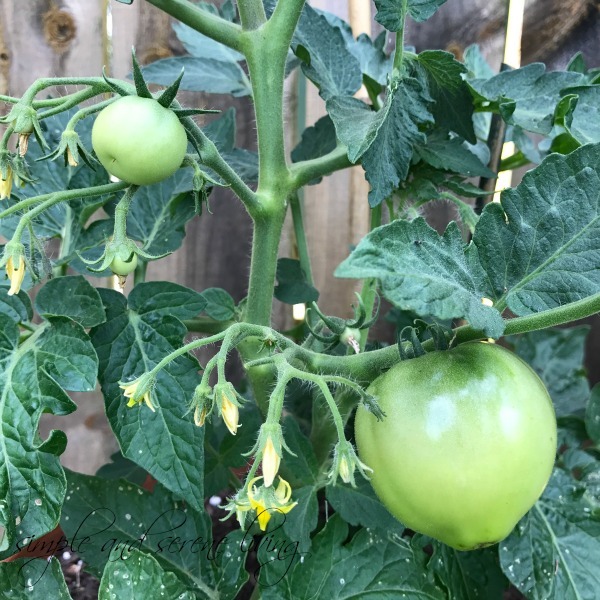 The weather is perfect, and my tomato plants are already starting to produce. This is what my tomato plants looked like less than a month ago. I never imagined they would grow so quickly. They seem to love where they are planted and I know I am going to love eating them. Thanks to my friend Pat who has kept our little garden watered while my knee has been healing. Yours are bigger than mine. 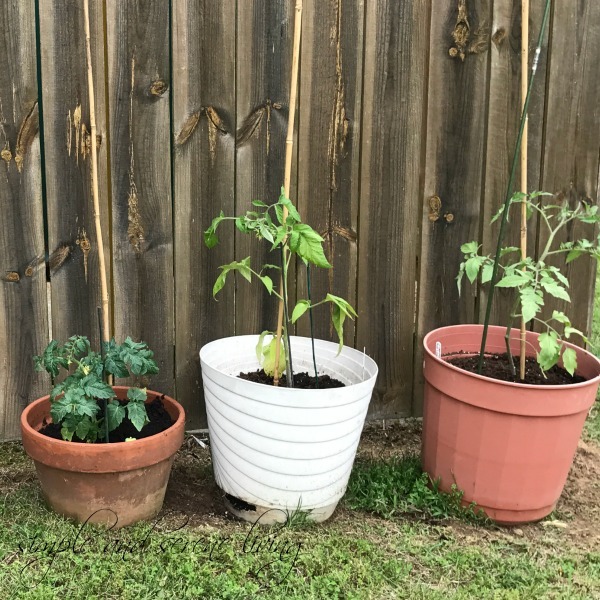 I have one plant and it has three little tomatoes on it. Good eating! Wow! They grew fast. 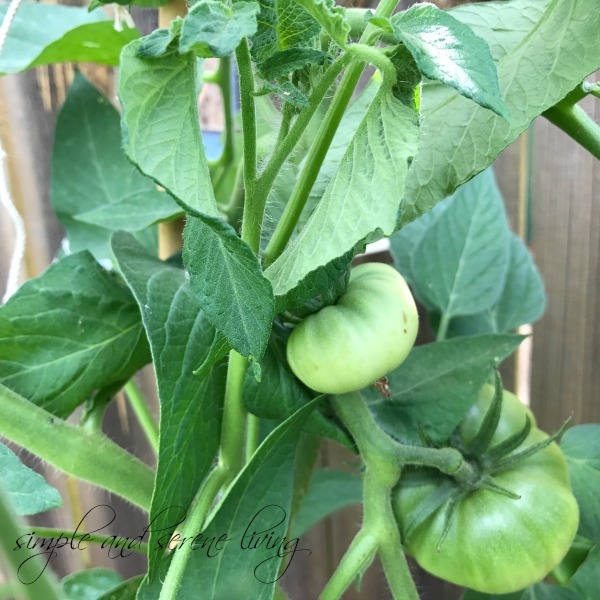 Our plant has some buds on it but no tomatoes yet!! I hope your knee is healing well. Hugs! They are looking good!! Nothing quite like a fresh tomato!